12 Jun 2017 Washington, D.C. The audience at ZOA—the oldest pro-Israel advocacy group in the United States—began loudly booing Brown’s comments, and Brown thought the audience might have been booing Bannon. Almost immediately, ZOA denounced Brown for making the inaccurate insinuation that Breitbart News, Bannon and Trump are somehow anti-Semitic. ZOA external adviser Arthur Schwartz told Axios’ Jonathan Swan that the comments were unacceptable. 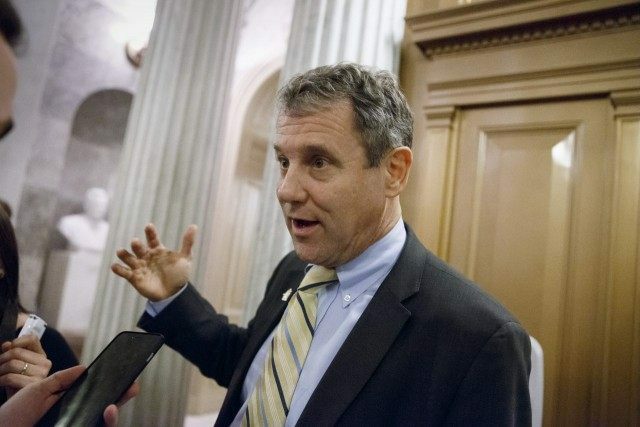 This weekend on Breitbart News Sunday on SiriusXM Patriot Channel 125 on Sunday evening, Breitbart News offered Sen. Brown the opportunity to appear on the radio program for an hourlong special on these comments—and the ability to retract the inaccurate comments and apologize. Brown did not make an appearance on the show. Instead, ZOA president Mort Klein and others including Brown’s GOP opponent in next year’s Ohio U.S. Senate race did appear to denounce Brown further. Klein said that Brown furthering inaccurate accusations against Breitbart News, Bannon, Gorka and the Trump White House hurts efforts to hold real anti-Semites accountable. Ohio State Treasurer Josh Mandel, the Republican candidate for U.S. Senate against Brown in next year’s midterm U.S. Senate elections, appeared on Breitbart News Sunday on SiriusXM Patriot on Sunday evening as well. Mandel nearly defeated Brown in the 2012 U.S. Senate race, coming up just short of victory as now former President Barack Obama carried the state of Ohio and dragged Brown back into the Senate on his coattails. Now, a different story is brewing in Ohio after Trump’s landslide victory in 2016 in the Buckeye State as Mandel makes a second run at Brown in 2018. The rematch between Brown and Mandel is expected to be one of the highest-profile Senate races in the 2018 midterms and offers Republicans one of many national opportunities for pickups in the upper chamber of Congress. In his appearance on Breitbart News Sunday, Mandel lambasted Brown for his inaccurate attacks on Bannon, Gorka and Breitbart. Mandel wonders how Brown can claim he supports Israel when he backed the Iran deal from the previous administration. Cuyahoga County, Ohio, GOP chairman Rob Frost also appeared on the program to call out Brown for his inaccurate attack on Bannon and Breitbart.